Mt Cheeseman Skifield's Snowline Lodge will be the location of the 2013 NZOF High Performance Camp. The accomodation has been booked. Arriving on the 8th of December (Sunday), Departing on the 13th December (Friday). It is anticipated most attendees will be coming from the Super Series final, the Rotoiti Classic, and it is recommended athletes arrange accomodation in St Arnaud on Saturday the 7th. The Snowline lodge is located above 1500 metres and looks out over the majestic Castle Hill basin, a hotbed of orienteering terrain. The beech forest adjoining the skifield road was mooted as the Nationals Classic map for this year. While this did not proceed there are a growing network of Mountain Biking and Running tracks through the area. 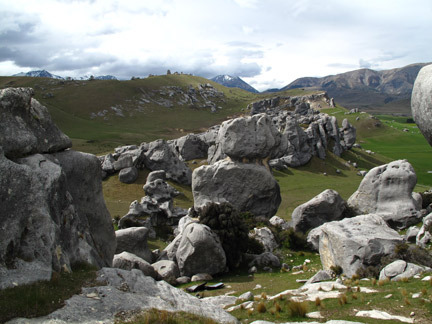 The terrain for the camp is nothing short of spectacular.This is the South Island High Country at its grandest. 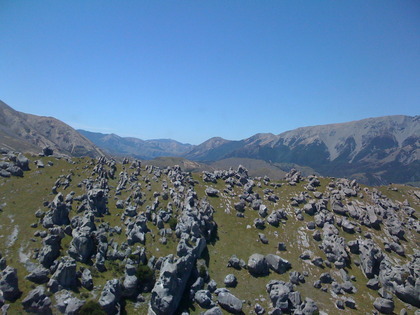 The camp is also just over the hill from Arthurs Pass National Park and its famous Coast to Coast course. The camp will also be one of the last uses of the forested Dalethorpe map, which is threatened with logging. Soft pine needles will make a pleasant change to the hard rock of the basin. Looks epic, I think I will go and request my annual leave right now! Very very good idea! And good decision doing your first year out in a small hospital, you won't regret it.